Our in-depth knowledge of magnetic materials combined with decades of practical magnet and magnet assembly experience enable us to provide innovative solutions for our customers and ensure that their precise magnetic requirements are met. FEA offers many advantages over traditional trial-and-error prototyping that help you bring your product to market faster. 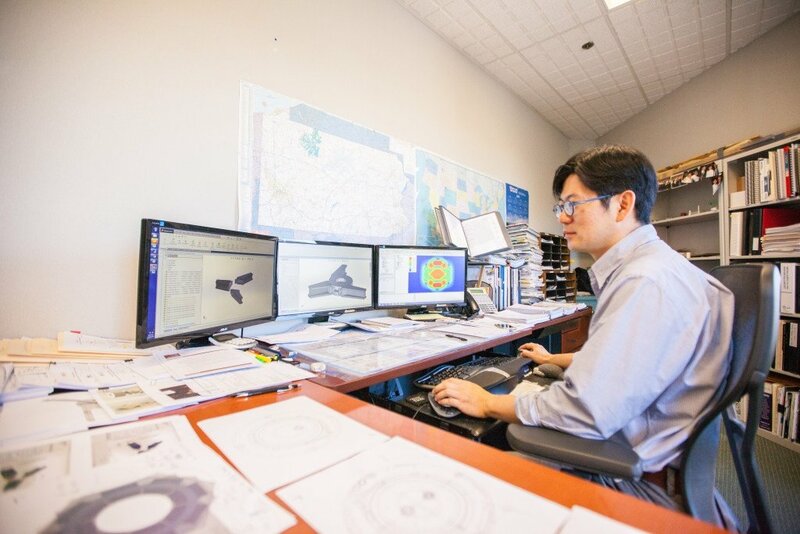 Contact us to learn about how FEA can help you cut cost and speed up time to market. Magnetic bearings technology is considered to be an enabling technology for new advanced engine designs. It eliminates the need for lubrication and increases machine reliability. A magnetic bearing can be designed via iterative search employing 3D finite element based electromagnetic field simulations. FEA can provide the force-current relationships, maximum load capacity of the bearings, required saturation flux levels, losses, etc. Optimization of weight, performance and cost can be achieved by skillful numerical analysis. Currently, an ultra-high temperature magnetic bearing is being designed and built to produce 500 lbs of force at 538°C by EEC and Texas A&M University for a NASA SBIR Phase II program, as shown in figure 1. Rotary magnetic couplings are commonly designed in two configurations: co-axial and face-to-face. The torque characteristics of a magnetic coupler can be investigated and optimized by FEA using 3D electromagnetic field solver. The coupling torque is related to magnetic performance of permanent magnets, number of poles, air gap, and the magnetic circuits. For fixed air gap magnetic coupler, FEA can help determine the best magnetic circuit design options. Figure 2 shows a conventional 12 pole co-axial PM coupler model. Traveling wave tubes (TWTs) amplify radio frequency waves by converting electron beam energy into microwave energy. We have used FEA to design the magnet stacks to achieve pre-determined axial filed profiles. Figure 3 shows a typical axial field profile of the magnet stacks for TWT applications.